What Should I do if I Suspect My House May Be Sick? If your Tulsa home has the symptoms of being unhealthy (see the symptoms below), then follow these simple steps for peace of mind. 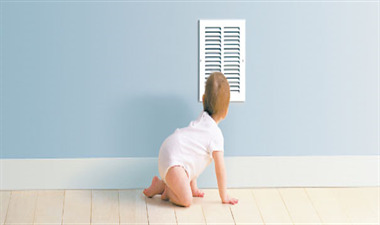 Most of the issues that cause poor indoor air quality can be easily addressed, and the solutions are affordable. 1. Call the office for an appointment. 2. Review your concerns with our knowledgeable staff. 3. Have a walk through with one of our indoor environmentalists – you will learn a lot. 4. Let them help you decide if additional testing is beneficial. Dust - Dusty homes can be caused by multiple factors, but a BPI analyst and/or indoor environmentalist can usually determine by a simple walk through of your home. Headaches or nausea - If you notice that you have headaches or nausea when you are home, but they seem to not be as much of an issue when you have spent a day outdoors or at another location. Musty or Moldy Smell - If the home has moisture problems, or the home has been sealed up too tightly then the home cannot properly “breathe” to dispel the build up of cleaning chemicals, exhaust, allergens, etc. Allergies, Scratchy Throat, or Nasal Irritation - These symptoms or your allergies are worse when you are home than at other times. Burning or Watery Eyes: You have problems with your eyes burning when you are home, but not so much elsewhere. Humid: If your home is too humid, then it’s a good sign you have an issue that needs to be addressed. Sometimes we don't even think about the sources of home contaminants. One of those can be a leaky duct system, where over time the ducts have become loose and attic air is being pulled into the home contaminated by the dirt, animal feces, and dust common in many attics. A trained professional can determine if this might be a source of contamination in your home!